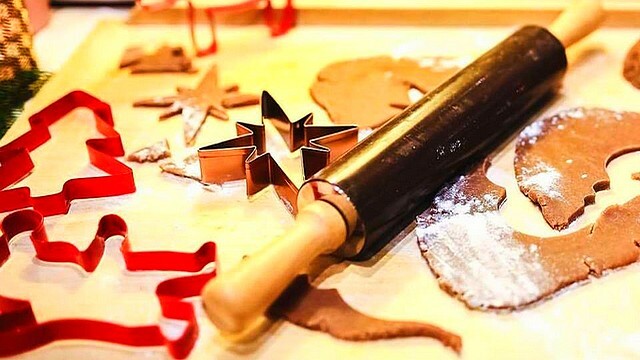 "Kumukutikutitap, bumubusibusilak, ganyan ang indak ng mga bumbilya..."
(SPOT.ph) Christmas in the Philippines is a buffet for all the senses. There's the ever-present aroma of bibingka and puto bumbong, loud, colorful fireworks from every direction, and heart-melting moments of gift-giving and gratitude. Most of all, opulent light displays and giant Christmas trees all over the Metro make our holiday nights a whole lot brighter. 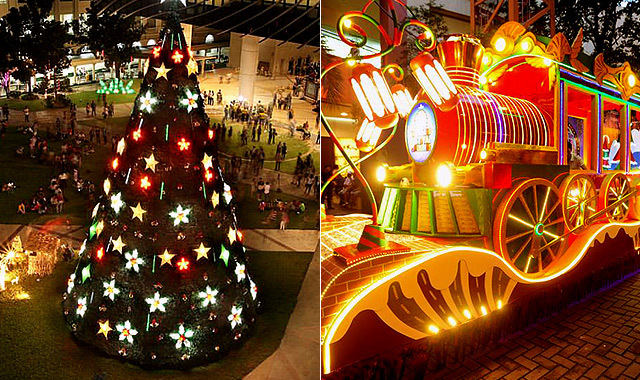 We round up some of the best Christmas sights that you should check out this season! 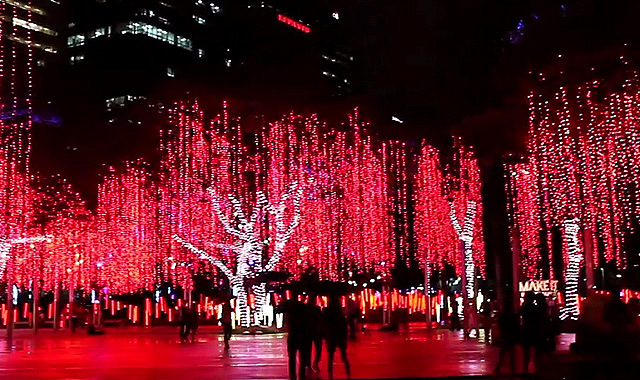 The Festival of Lights has become Makati City's signature Christmas tradition as the entire Ayala Triangle Gardens transforms into a magical paradise. More than a million twinkling lights that line the trunks of trees and hang from leaves change in color while music fills the air. This year, the show is divided into three medleys: the first is a celebration of Filipino tradition, the second is an homage to magical and heroic films, while the third is a much-loved Disney repertoire. 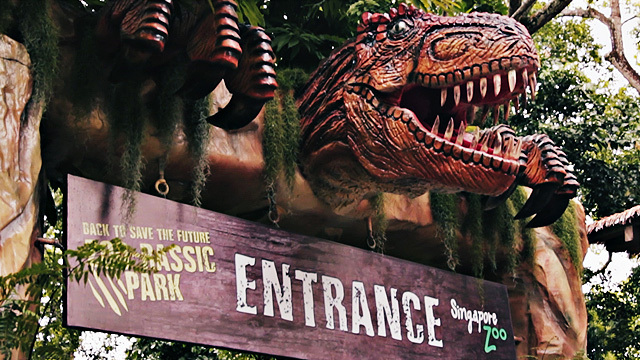 The show runs daily until January 8, 2017, every 30 minutes from 6 p.m. to 10 p.m. 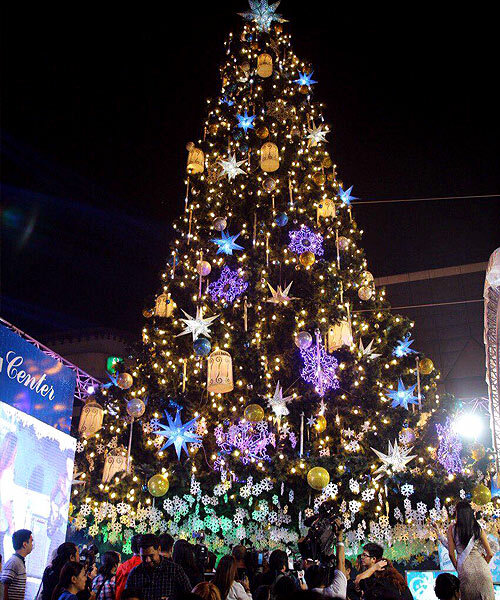 The 35-year tradition of the giant tree in Araneta Center is one of the biggest Christmas spectacles in the Metro. This year, it reflects a blue-and-gold theme with a scattering of giant snowflake cutouts. The lighting ceremony on November 4 was graced with the presence of Binibining Pilipinas-Universe 2016 Maxine Medina. In true Animo fashion, De La Salle University - Manila celebrates the holiday season with the theme "Berde: Going Green This Christmas." The 20-meter Christmas tree is adorned with giant bells, poinsettia, and stars, and stands right next to a life-sized belen. 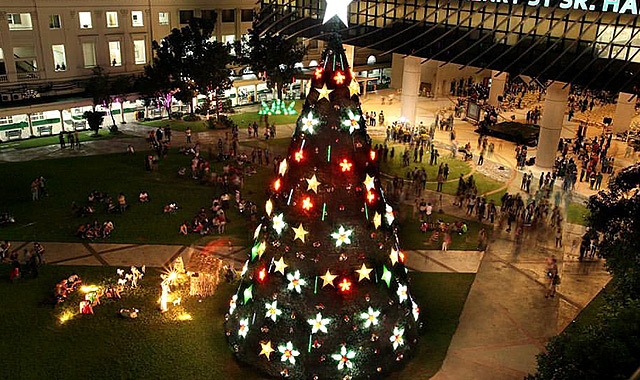 Lasallians can take selfies with friends and family in front of the tree from 6 p.m. to 10 p.m. until a new trimester starts on January 4, 2017. Christmas on Display has been around for almost 60 years. It traces its roots to the Christmas on Display Department Stores in Avenida, then in Cubao, until the store closed in 2002. 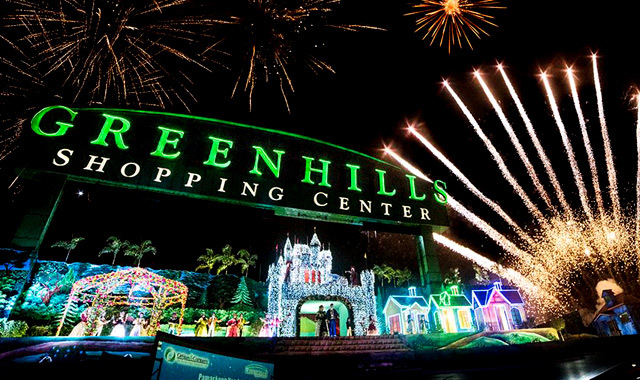 The Christmas show was moved to the Greenhills Shopping Center in 2003. This year’s theme revolves around princes and princesses of well-loved fairytales. Watch the show until January 1, 2017, every 30 minutes from 6 p.m. to 11:30 p.m. The Oblation Plaza is now adorned with a Christmas installation by noted sculptor and painter Toym Imao called "Budyong." The piece coincides with this year's theme "Himig ng Diliman" and the celebration of the College of Music's Centennial. The budyong, a pre-colonial horn made of a conch shell, was used as an alarm in times of imminent danger. What better time to use such symbolism to reiterate the state university's tradition of vigilance as the country's metaphorical budyong that sounds the alarm during "imminent threat to the liberties of the Filipino people?" 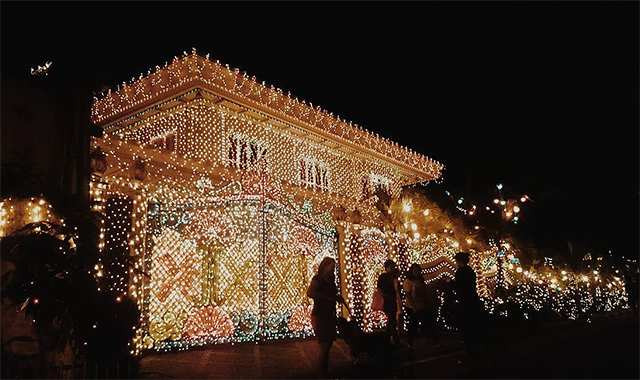 A nondescript neighborhood the rest of the year, Policarpio Street in Mandaluyong is all lit up during Christmas time as residents adorn their houses with colorful lights, parol, and other Christmas decor. Gates are well-guarded but viewers can check out the street anytime for a quick photo-op with the huge Santa displays. Rustan's in Makati is known for grandiose displays behind its large windows, whether for the summer season or for the holidays. 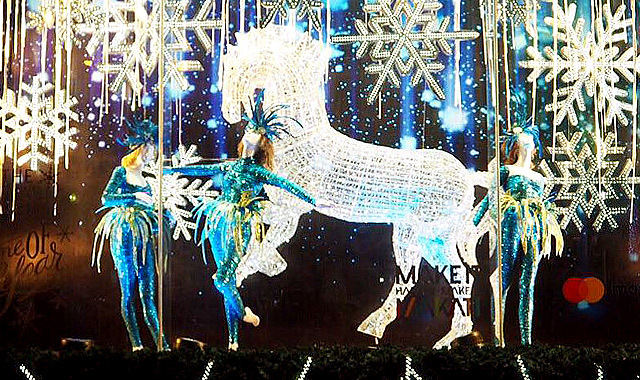 This year, it prides itself on showcasing fantastic motifs of a golden elephant, blue-and-white fairies, and an ethereal horse behind frosted glass. 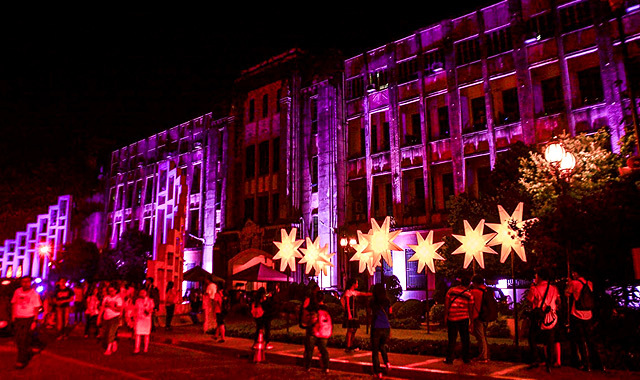 An annual tradition that started in 1991, the UST Paskuhan is the culmination of the pontifical university's Christmas activities. Highlights include the Panunuluyan (reenactment of the search for a place for the Virgin Mary to give birth to Jesus Christ), the Paskuhan Mass presided by the university rector, and the Agape (campus-wide banquet). A pyromusical ends the evening celebration. This year's celebration is on December 16. 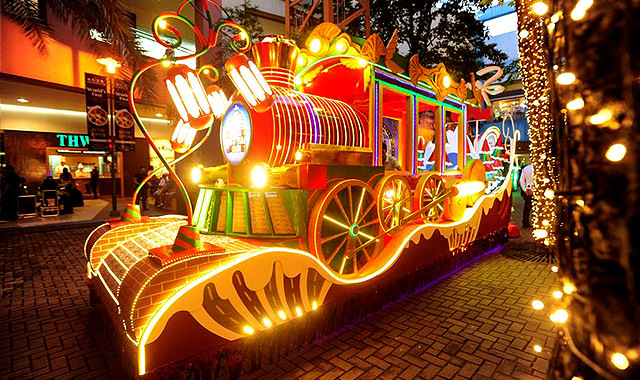 Floats that look like they just traveled all the way from Santa's home in the North Pole go around the SM Mall of Asia every Saturday at 5:30 p.m. The route starts at the North Arcade then ends at the South Arcade, along the Seaside Boulevard where a grand fireworks display awaits. Santa's also there to greet the kids and lead the group of performers and mascots dancing to Christmas carols. 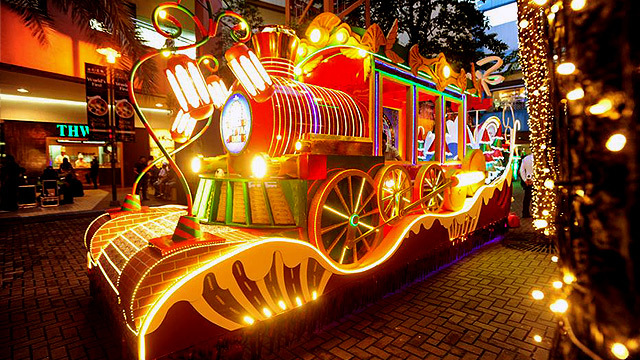 The Grand Festival of Lights Parade runs until December 17 with a special show on December 25. 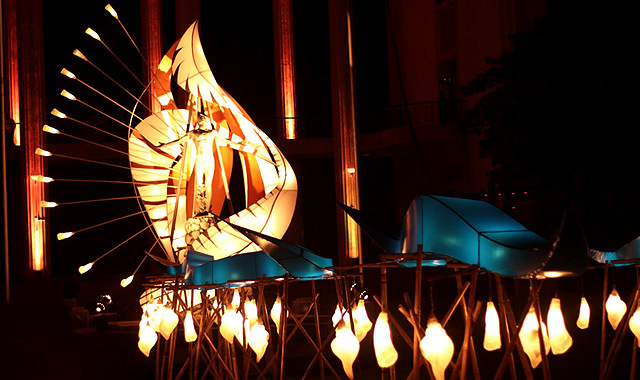 The Cultural Center of the Philippines, in partnership with OMNI, held an outdoor light installation competition this year. The winning piece titled "Puno ng Diwa" by Leo Gerardo Leonardo, a teacher at the Philippine High School of the Arts, was unveiled on November 10. The light installation is inspired by the Higantes of Angono and mythical characters of Bagobo and Manobo origin, which keeps the true spirit and traditions of the theme of "Paskong Pinoy."